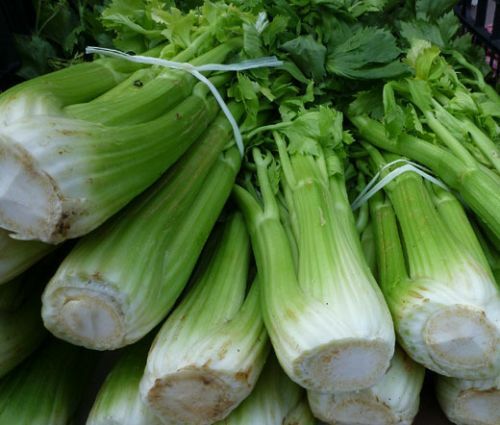 Celery Utah 52-70 Apium Graveolens is an open pollinated, popular, nutritious cool weather vegetable. Celery Utah 52-70 seeds can be started indoors or in the greenhouse in early spring, and the indoor started seedlings can be transplanted outdoors after danger of frost has passed. Transplant in rows 3 feet apart leaving 3-4 inches between plants. Celery Utah 52-70 can also be sown directly outdoors after danger of frost has passed, and the early plantings germinate best. Plant in early spring in rows 1/4 inch deep in well-pulverized soil. Celery Utah 52-70 produces long, crisp, medium to dark-green stalks, and this variety with a full crisp heart is equally good for home or market gardens. Celery is delicious in its raw form, and it is of the most popular vegetables to be used in salads, soups and stews.